The confirmation that Septoria musiva had established itself at the Harrison Mills poplar stoolbed and archive facility, owned by Kruger Products, L.P., effectively quarantined not only the PopCan trial, as described elsewhere on this site, but also the hybrid poplar clonal archives the company established and maintained for many years. These archives currently contain hybrid poplars that were selected in a clone-site trial in 2007 for the absence of any Septoria musiva stem or branch cankers. 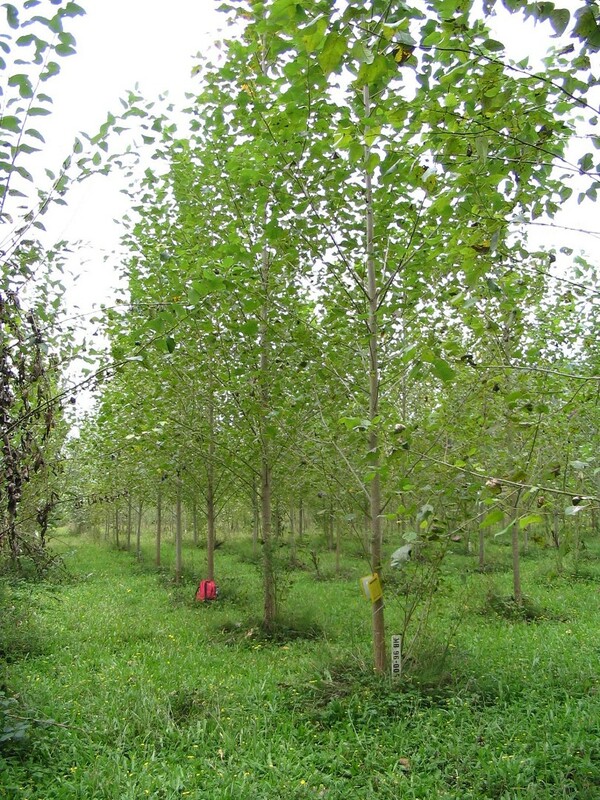 Out of 271 mostly new hybrid poplars, 16 were selected and added to eight older genotypes, mostly hybrids that proved highly resistant or tolerant, for a total of 24 genotypes. Unfortunately, Kruger Products, L.P. ceased operations at the Harrison Mills facility a few years ago and put the land up for sale. 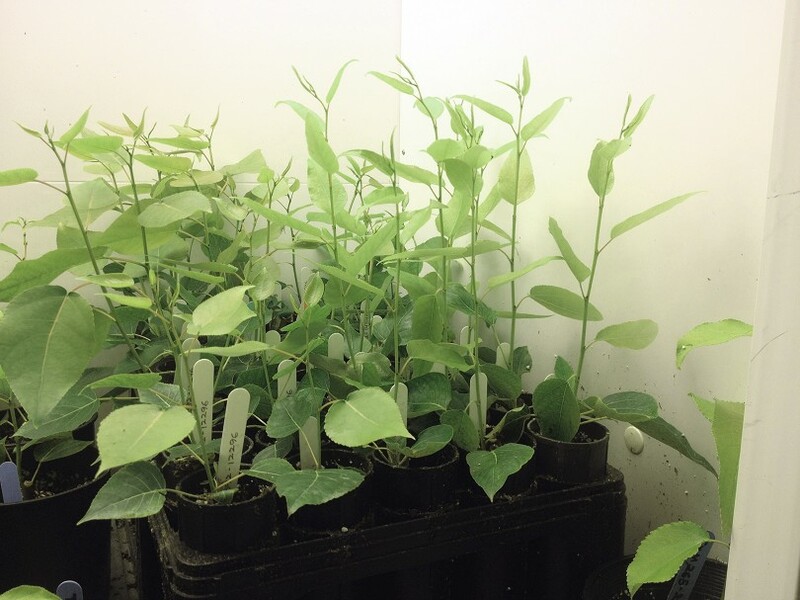 To prevent the loss of these valuable genotypes, forest pathologists at UBC developed a quarantine protocol in cooperation with the provincial pathologist of the BC Government to receive hybrid poplar cuttings and grow these in growth chambers at the University. With the full cooperation of the company, the 24 genotypes, mentioned above, were collected in March 2015. After intensive screening for the possible presence of Septoria musiva leafspot during the propagation period in the growth chambers, possibly followed by a second propagation period, disease-free genotypes could be released for archiving in various locations outside the Septoria musiva quarantine zone, thereby guaranteeing the conservation of valuable poplar genotypes for future use. One possible archive could be established at the Totem Field clonal archive stoolbeds at UBC. The BC Government also has a suitable site near Saanich on southern Vancouver Island, which can accommodate the archive. The IPS VI Organizing Team set aside $5,000 from surplus funds to collect, grow and select these valuable poplar genotypes.